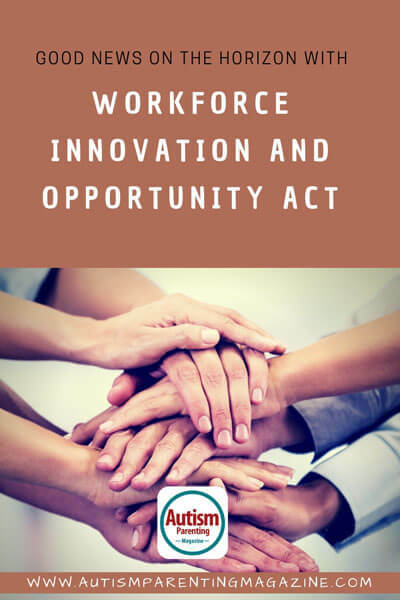 The 2014 Workforce Innovation and Opportunity Act opened the door for young people with disabilities to be evaluated for regular work in the community before being steered toward subminimum wage jobs. This Act has transformed the options available for those with disabilities when they age out of the educational system. In Minnesota, the number of individuals under age 25 receiving in the ‘Community Work’ supports has increased to a record high. This bodes well for the future; however, the majority of adults with disabilities still spend their days in segregated workshops or day activities. It is also true that even with these young folks having employment in the community they are still not working full-time. There are several reasons for not working full-time; however, one reason is still the balance between income from a job and keeping benefits that allow them to live in the community. Home and community-based supports for adults are also on the rise. Government spending has increased dramatically in this area. Federal and State Medicaid spent $167 billion on long-term services and supports in 2016, which was up from 2015. This means that more funding is being allocated to help individuals with developmental disabilities live and work in the community. These increases in individuals ‘Working and Living in the Community’ are two positive trends for adults with disabilities. The expectations for individuals diagnosed with an ‘Intellectual / Developmental Disability’ are rising, and government spending is noticing this trend with more money being allocated toward ‘Home and Community Based’ supports than to institutional settings. As these two trends continue, it is critical that families understand the benefits landscape and how to properly plan their own resources so that these government services can always be accessed. As a family begins to think about their child’s abilities, and the possible life he/she will have as an adult, work and living on their own need to be considered. An independent life will require oversight, not just from service providers, but from family members to ensure that income from work does not disqualify from benefits, that the income from work is saved in the proper place so accumulated savings does not disqualify from benefits, to ensure that service providers are providing exactly what they are supposed to, and to manage the resources that families want to leave for their child to ensure enough money is available for their lifetime needs. For most families that oversight will require planning ahead and professional guidance. It is exciting to find that the trends for those with I/DD are pointing toward a community based, independent life that involves work. It is important that families plan ahead and are prepared to not only take advantage of these opportunities but to hold onto them once they are received so that their child can live the best life possible.